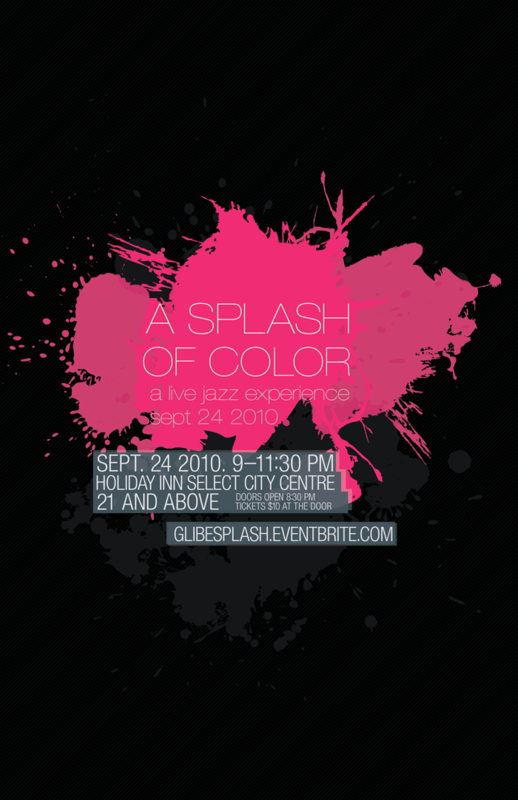 A Splash of Color was a jazz event held in West Lafayette, Indiana. The client requested a “young, urban, yet elegant” design for the posters, tickets, and flyers. I decided to accomplish this by contrasting vibrant pinks and greens with a dark background, and adding a touch of elegance through the delicate typography and subtle pinstripe against the near-black background.